The addition of R-Squared is a great improvement. However I have noticed many times weird (non linear) balance lines with very high r-squared values. Is this a normal behavior? Is there a way to make EAS filter-out the strategies that have such stepped appearance? Yes, I also think there is still something wrong with the R-Squared implementation in EA Studio. 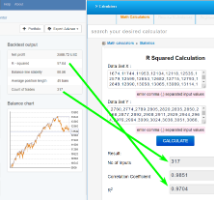 Especially strategies with very long duration trades seem to get a much higher R-Squared value, even if their curves look completely "bad" and the first one in your example surely should not have a higher R-Squared than the second one. I am sure the R-Squared formula itself in EA Studio is fine, but that there is a bug of how EA Studio counts / "forwards" the data points to the R-Squared formula. I fixed some issues with the formula and it covers better some special cases now. 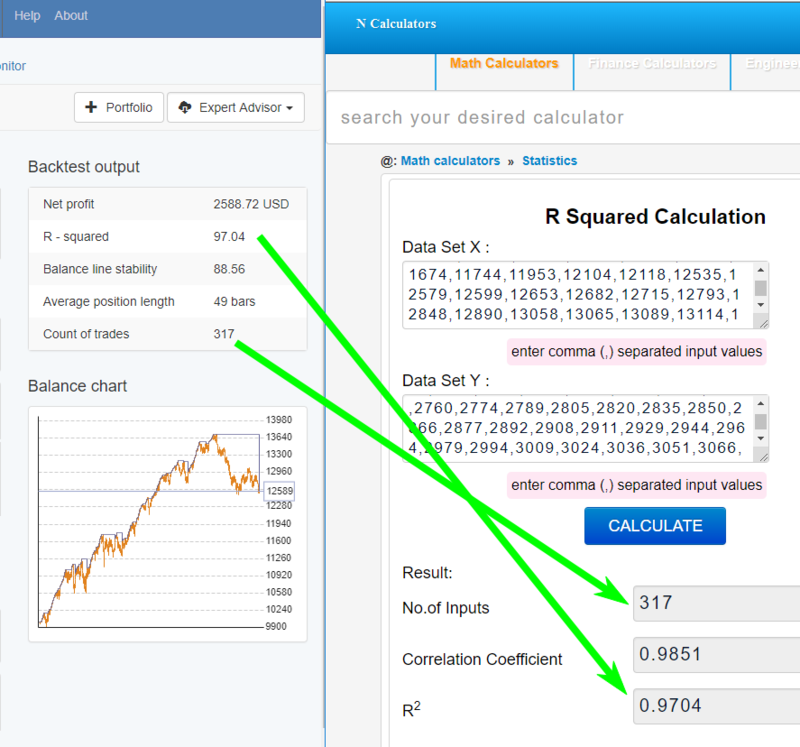 Here is an example of comparison of the EA Studio calculations and an online statistics calculator. Thank you very much for your outstanding effort Mr. Popov. Will reload my instances and give them a try.